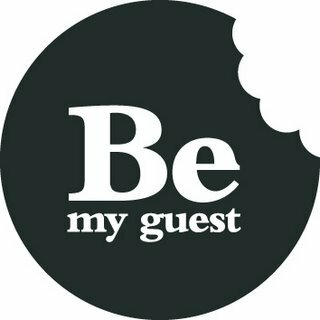 Guest posting is where you approach a blog owner and ask to post a blog post on his or her blog. This blog post is usually an article and the blog owner either says yes, no, or has some conditions. The benefit for the blog owner is that he or she gets free content to put on his/her blog. The benefit for the guest poster is that he or she is able to link back to his/her own website or blog. This link may help the guest posters search engine optimization (SEO). 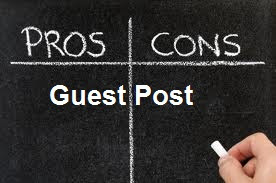 Here are a few pros and cons for guest blogging. If you yourself are a blog owner, then there are a few negative sides to guest blogs that you may wish to consider. The content posted on your blog may be poor quality which will negatively affect your SEO if you do not spot it. The content posted on your blog may be incorrect, which is going to damage your blogs credibility. Finally, the content posted on your blog may be plagiarized or stolen which is going to result in you being punished by Google and possibly the law. You do get a link that may increase your website’s/blog’s SEO You install a link within the guest blog post. You may do it within the post or at the end of the post (as per the webmaster’s wishes). This link is then indexed by Google when the blog is crawled, and the link becomes a backlink. Because it comes from a different domain, it will have a little bit of SEO power and will help to make your website or blog more search engine friendly. This makes it far more likely that the linked blog or website will rise in the search engine results pages. Information dissemination online is actually a very powerful tool, and guest blogging is one of the few ways that you can plug yourself into other domains. It allows you to post your thoughts, opinions or facts across numerous domains, so that your information comes up on more than one of the search engine results page choices. You also have the added benefit of disseminating the information to a new audience, i.e. the current bloggers regular viewers. Many people brand their blog and then promote their blog using guest posts. It is essentially a good idea since you get the SE friendly link, and you present a blog post to an audience of blog readers. These are the type of people who are most likely to visit your blog if presented with a link. This is true since the guest blogger is not going to receive any money for the written content. The written content does have a monetary value; however that value is being given to the blog owner free of charge. The only thing the guest blogger gets is a link, which has no direct monetary value. SEO is a mildly complex issue, but suffice it to say that just because you have a link, it does not mean that your blog will rise up through the search engine results pages. In-fact a link may have no positive effect on your search engine ranking at all. You may work hard on a guest post and find out that the blog owner does not want to publish it on his or her blog. This means that you have essentially wasted your time for no real gain. The only redeeming feature is the fact that the blog post may possibly be accepted by another blog if you are lucky. Hi! I'm Nellie and currently work as a lecturer in programming and accounting. I'm always eager to find out something new and become familiar with it. I love to deal with researches and want to develop in the field of writing. Moreover, I started moving in this direction! I work as a writer for Homework-Desk.com, which provides even statistics homework help online. If you have any questions concerning education, I'm always ready to help. Here are my contacts: FB (https://www.facebook.com/nellie.aldridge.3) and G+ (https://plus.google.com/u/3/100898603848701478113/posts).